Amazon appears to be taking in a bulk of exclusives this year with Walmart looking to have pulled back for now. The online behemoth has already launched pre-orders for their Vintage Collection Slave 1, where it was announced today that the price has dropped $30 to $69.99 (Yay!). 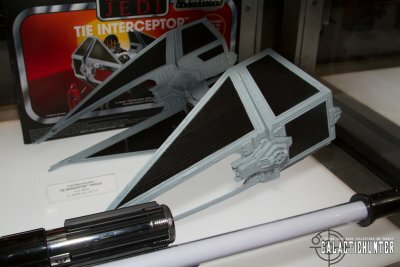 Their TVC TIE Interceptor was also previewed with a price point of $49.99. Another Amazon exclusive previewed at the booth is the Droid Factory figure pack, which is both a relief for fans wondering if the pack in droids from the cancelled Droid Factory assortment will ever see the light of the day, and a head scratcher. 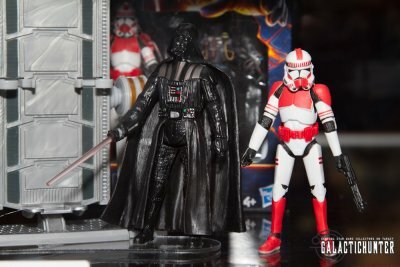 The head scratcher part being the logic behind a 212th Clone Trooper and a Sandtrooper and TIE Pilot being in the same set. 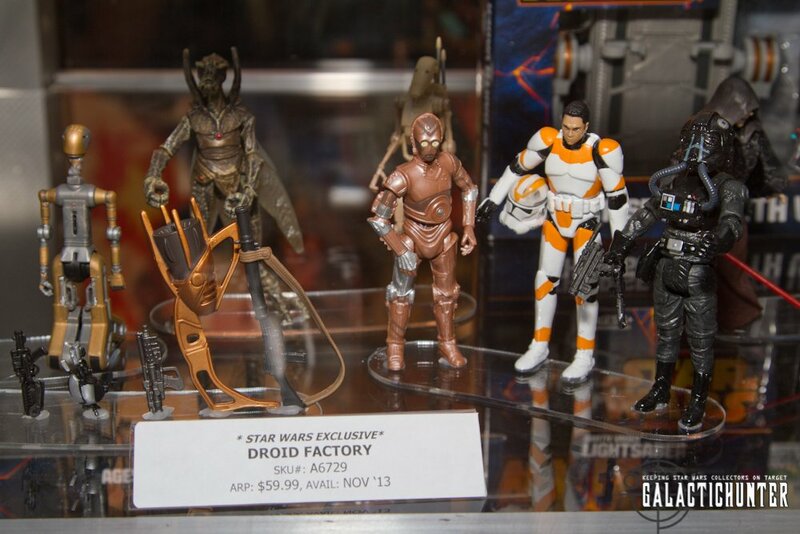 We'll have to ask if these are placeholders for the other other Droid Factory droids that weren't present. This exclusive will retail for $59.99 with a slated November release. 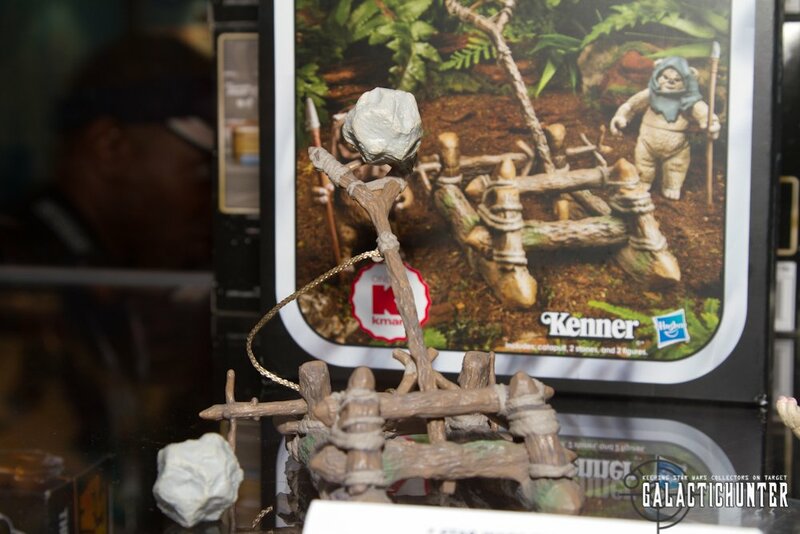 K-Mart continues their excellent Return of the Jedi Endor themed exclusives with a TVC Ewok Catapult set that includes two pack in Ewoks. The set will sell for $19.99 and will also release in November. K-mart will also be offering two sets of Scanning Crew 2 packs featuring an Imperial Scanning Tech and an Officer. Each set will retail for $14.99 each with release sometime in Q4. Target's Rise of Darth Vader set featuring the VC12 Darth Sidious and MH20 Vader with the cool light up lightsaber appears redundant, but if you still need these two figures or you weren't around in 2005, then it's not a bad price for $19.99. This set is scheduled for release in October, but our buddies at Yakface are reporting this set hitting stores now. 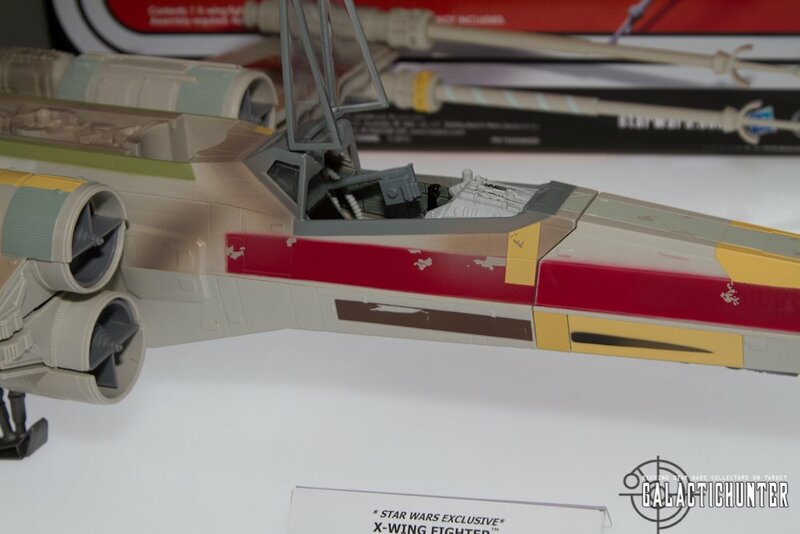 Last but not least, ToysRUs is offering Biggs Darklighter's X-Wing Fighter for the new Black Series figure to pilot. The vehicle will cost you $59.99 and has a Q4 drop date. ToysRUs is also reissuing the awesome Republic Gunship, and this time they're including the gun turret, Yoda, and a Clone Pilot. 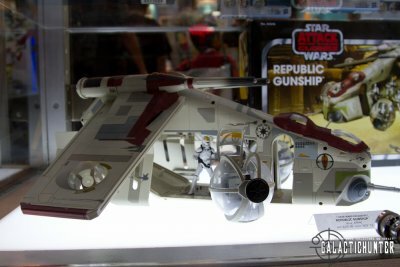 The Gunship has unique deco and a packaged TVC style to make that $119.99 price point less painful on the wallet. 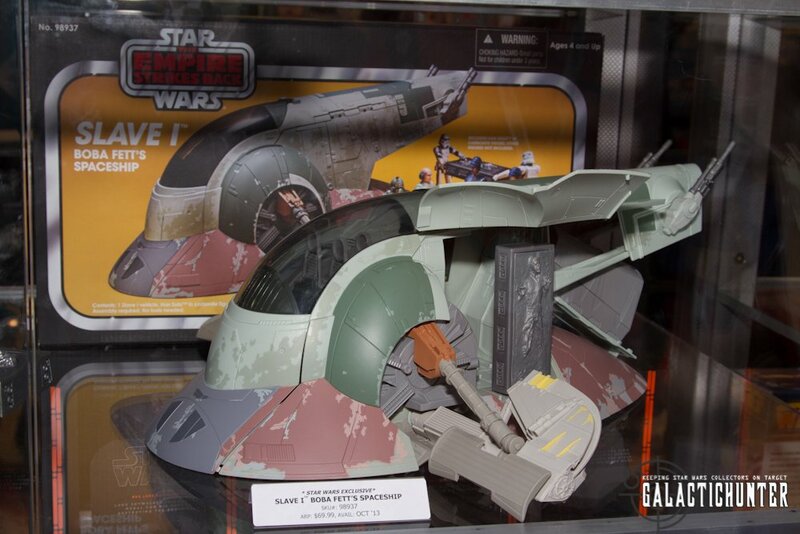 You already know Hasbro is offering the Black Series Boba Fett and Han Carbonite ($44.99) and the Early Bird Angry Birds set ($24.99) at the show. Fett is limited to 1 person and the Angry Birds 2 per person. Be sure to check out our BS Fett review if if you haven't already. It's a pretty amazing set and a good start in launching this series. Check out the rest of our Hasbro Preview Night photos by clicking here, and check back often for updates, especially for our Hasbro Q&A and presentation tomorrow. Discuss more of what's been reported in our forums, or comment about them in our Facebook page.